These terms relate to the registration in Portbook, for anyone - company or self-employed, from now on referred to as "Professional". The access, use and benefit from the services provided in Portbook are subject to the following terms, which the Professional must carefully read and make use of Portbook only if he accepts these terms completely. The use of Portbook services indicates the full and unconditional acceptance of the terms hereof. The registration of any Professional in Portbook takes place in accordance with the provisions of article 4 of Law. 2251/1994, as amended and in force. For the Professional paid registration, an agreement between the Professional and Portbook will be signed, under the current pricing policy of Portbook. During the registration process of the Professional's business in Portbook, information about the registration area, business name, professional name, phone, e-mail account (e-mail) will be needed. For accounting purposes the Professional may be required to provide information about the TIN (Tax Identification Number) of the company being registered. The completion of the registration form that needs to be filled in order for a company to be registered is performed by Portbook staff upon oral or written expression of consent of the Professional provided to Portbook. After the successful completion of the registration process a confirmation letter is sent to the Professional by e-mail or fax. The Professional can - if he wishes - be registered in Portbook, merely as a registered member and logged in to Portbook, and he will be asked to define a user name, an e-mail and a password. The Professional has no possibility of self-management upon his Professional account in Portbook. This possibility belongs exclusively to Portbook, which bears the responsibility. The registration of the Professional is personal, unique and not transferable to other Members or Professionals. Each Professional can not have more than one (1) Professional accounts in Portbook. After accepting the registration of the professional, Portbook determines the position, the manner, time and other ranking information / placement of the registration based on the trade agreement between the two parties (Professional - Portbook) . b) inform Portbook on the updated details of the registration and other input data so that they remain accurate, valid, current and complete. c) In any event of a theft, password loss and / or unauthorized use of the account, the Professional is required to act immediately and change the access code or to communicate directly with Portbook. After completion of the registration, the Professional is solely responsible for any inaccuracies provided by him. The Professional who consents to the registration is solely responsible for the correctness and accuracy of the data entered in the system, since Portbook acts as a means to publish such information online, without performing any processing. If the Profesional/Company grasp of false registration details he should immediately contact Portbook for the appropriate corrections to be made. Other Registered Members, Professionals or Portbook Guests have the right to report a Portbook listing which they consider not complying with the terms of Portbook or containing false information and contact the registered Professional. A Professional is not able to correct / complete / modify his registration data. If the Professional needs to correct / modify components he can communicate directly with Portbook sending email to info@portbook.gr . The correction proposed will be implemented by Portbook within a period of 10 days. If a Professional wants to delete his registration or any field within his registration, he must immediately contact Portbook by sending an e-mail at info@portbook.gr . The correction proposed will be implemented by Portbook within a period of 10 days. Portbook reserves the right to delete any Professional account without any justification. Portbook may provide the opportunity for professionals to publish content such as texts, images and videos in various parts of the site. This content is and remains the sole responsibility of Professional from whom it originates. The Professional shall retain sole responsibility for this in any case, even if the material was sent indirectly. The user understands and accepts that the information may be published without prior control by the Portbook and that Portbook reserves the right to postly remove any content published by the Professional. Any insulting or otherwise inappropriate material in the pictures or the text published is striktly prohibited. If the Professional enters digital files (eg images, video, text, etc. ), these should not display third party images or data from which violation of personal information occurs (eg car plate) without the consent of the third person. They should also not contain offensive, obscene, insulting or racist content. Portbook is entitled to show on its website or other property of the Portbook P.C. company (eg leaflets, brochures, advertisements, etc.) of material provided by the Member or Professional with the sole purpose of promoting Portbook services but in a way that would not affect the rights and interests of the foregoing. 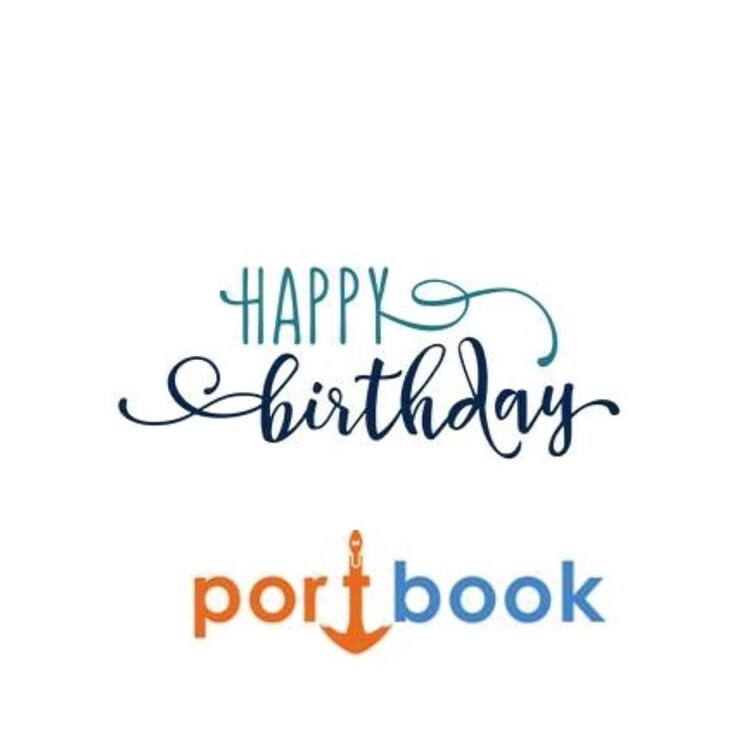 Portbook holds the right to advertise Portbook website and as a result the data contained in Portbook webpages, in other media such as websites, television, radio, press, apps (applications) for any new type of communication devices, software, e-mail newsletters, etc. For any dispute that may arise between advertised Professionals, or Portbook and one or more of the Professionals projected in Portbook or any third party, Portbook is exempted from any claim, demand and damage, incidental or consequential, of every kind and nature, future or vested. The same applies even for a claim or damage not able to be foreseen and stated in advance, that may arise in any case from the general use of Portbook. For any problem regarding these terms please contact Portbook via email at info@portbook.gr .